A friend, Jurgen, shared this sculpture photo this morning reminding me of the meaning of Easter, and one of our most popular natural images of this time, Easter egg and fresh baby chick's emergence, symbol of birth or rebirth. Of renewal and new life. 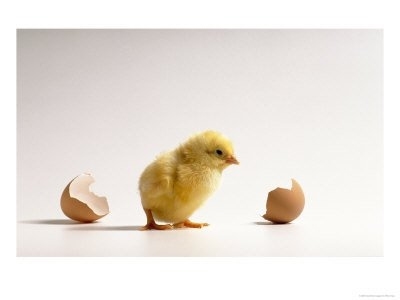 In Vinaya (PTS Vin iii.3 f), the Buddha, speaking to a Brahman priest, compares his own experience of awakening, of enlightenment, to himself as an egg-born being, like a baby chick breaking through and emerging from its shell, free, anew, alive. The shell is ignorance. And here the Buddha compares himself in his post-awakening life of compassionate action, to a mother hen with her precious chicks :-), "sitting on, properly warming, and properly hatching" her eggs -- out of compassion for the sake of the living beings of our world (us! ), to help us to mature, develop and emerge from the covering-over, the shroud, of ignorance. It is significant that he is speaking of enlightenment as a second birth to a Brahmin, for whom being "twice-born" is socially, culturally and religiously significant -- but then available only to those who were Brahmin by birth and who had participated in a particular ritual with a Brahmin priest. But the Buddha broke all this open. Despite ostensibly being eggs of different baskets, the Vinaya contains much Dhamma and the suttas much discipline, that is, Dhamma teaching together with practical training that we may develop for ourselves. Clearly they were never meant to exclude one another, but rather contain each other (as with all of us and all things!). 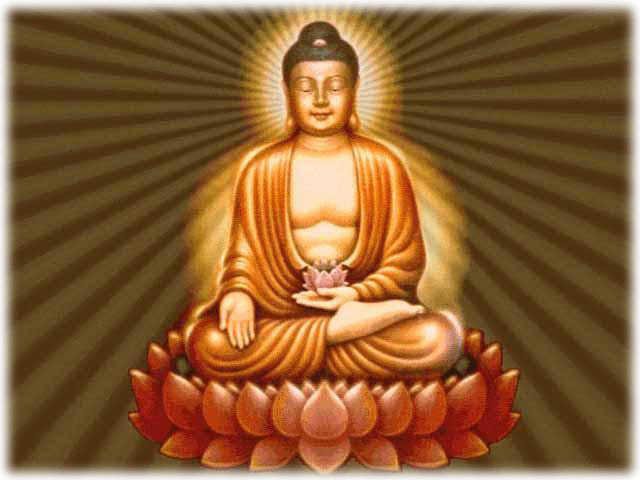 For we find virtually this same teaching again in the Connected Discourses of the Buddha of the Samyutta Nikaya (SN 22.101/PTS S iii 152) as well as in the Chinese-text Samyukta Agama (SA 263). this may be possible. Quite a basket of highly-powered eggs! Further encouraging examples are then given of a carpenter and a carpenter's child. And of a ship at its mooring, having crossed over the sea. For the carpenter may not see how the print of his hand gradually becomes part of the tool's wooden handle, but one day suddenly notices how his impression has formed in the tool's handle. And the ship, moored over the seasonal storms may not show the wearing of the elements on some days, but after the months have passed, the wearing of the moorings can clearly be seen, and can easily break away. In the same way, we are reassured that just by the working with these practices that the afflictions of the heart are weakened, our shells (our sense of defensive separation) and our bonds (our attachments and places of clinging) are gradually worn away, until the moments come when there is a significant shifting, freeing, breaking through. But in the meantime, still within our shells, we transform in this path of practice. Our shells sometime becoming translucent, opaque, even clear -- our hearts shining through, inwardly and outwardly illuminating. And the truth of things shining through, showing themselves clearly to our hearts, our minds. Our bonds loosening, our range of movement and easeful flexibility growing and expanding. All living things are born out of death, a dying to the old. 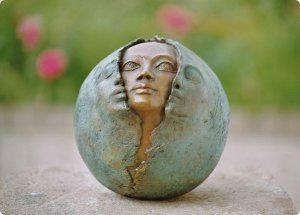 Out of which arises new life. And emergence into a new world, a world transformed. Because we have transformed. And this happens, and can happen -- whether we are aware of it or not -- in each and every moment of our lives. This promise is inherent in the very nature of our world, and in the nature of being human. With these human bodies, so beautifully equipped with the amazing brains and neurological systems that are there for the lived experience of awakening, enlightenment. And all the beauties of each stage of the path. Like emerging spring flowers along the forest pathway, each turn and each vista revealing a new wonder. The light of our awareness burns through all of the old crud, the heaviness, the darkness, the bondages. If we allow it to, patiently, caringly, attentively. ...Like a mother hen sitting on her eggs, carefully turning and warming each one, patiently sitting, applying herself well.... we are Buddha-parent and we are Awakening-child, coming into the full maturity of the promise and potential of being human.